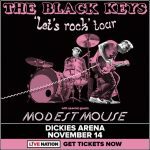 The Black Keys head to Dickies Arena in Fort Worth, with special guest Modest Mouse. Enter to win tickets! 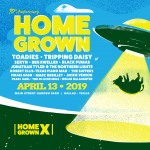 Celebrating the past, the present, and the future, Dallas’ Homegrown Music and Arts Festival will mark 10 years with an impressive lineup featuring legacy Texas artists. 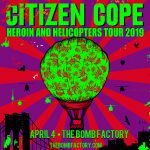 Win tickets! Strand of Oaks head to Three Links in Deep Ellum on Wednesday, April 17 with Brent Cowles. Throw your name in the hat for free tickets! 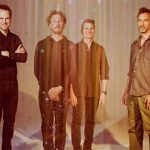 Guster heads to House of Blues in Dallas on Friday, March 29 with Saintseneca! 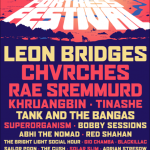 Win tickets. Mike Doughty heads to Club Dada on Thursday, March 28. Enter to win a pair of tickets! 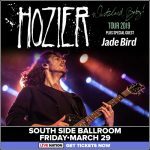 Hozier and Jade Bird head to South Side Ballroom on Saturday, March 29! Enter to win a pair of tickets. 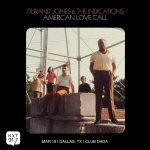 Durand Jones & The Indications head to Club Dada on Tuesday, March 19. Throw your name in the hat by Thursday at midnight to win a pair of tickets!